Set sometime between the mid-sixteenth and early-seventeenth century, Gogol’s epic tale recounts both a bloody Cossack revolt against the Poles (led by the bold Taras Bulba of Ukrainian folk mythology) and the trials of Taras Bulba’s two sons. 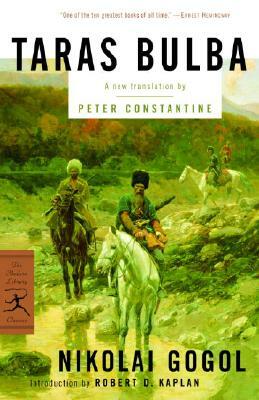 Peter Constantine was awarded the 1998 PEN Translation Award for Six Early Stories by Thomas Mann and the 1999 National Translation Award for The Undiscovered Chekhov: Forty-Three New Stories, and has been widely acclaimed for his recent translation of the complete works of Isaac Babel. His translations of fiction and poetry have also appeared in The New Yorker, Harper’s, Grand Street, Paris Review, Fiction, Harvard Magazine, Partisan Review, and London Magazine, among others. He lives in New York City.